OneOme will offer pharmacogenomic testing through its RightMed platform exclusively to customers of ProZed Pharmacy Solutions, through a partnership that expands the precision medicine company into Canada’s retail pharmacy market. OneOme and ProZed have launched their Canada-wide partnership—whose value was not disclosed—at Northern Shores Pharmacy in North Bay, Ontario. ProZed's Personamed medication therapy management service will use OneOme tests, with the goal of providing patients and their physicians understandable and actionable guidance on their prescriptions. “Through this partnership, we hope to not only improve health and lower costs, but also to determine how communities globally can best implement pharmacogenomic testing and support,” OneOme CEO Paul Owen said in a statement. RightMed analyzes an individual’s DNA to identify how that may affect his or her response to certain medications, such as predicting adverse drug reactions and drug effectiveness. The pharmacogenomic test covers 22 genes, 340+ medications for more than 20 medical indications, and it can be integrated into electronic medical records. To date, OneOme said, more than 160 hospitals and clinics from 15 different countries have ordered RightMed. The PGx test was co-developed and exclusively licensed from the Mayo Clinic, with the goal of bringing pharmacogenomics into routine clinical care. Under the partnership, announced yesterday, ProZed will also launch a patient study designed to focus on the benefits of implementing pharmacogenomic testing in a community pharmacy setting. 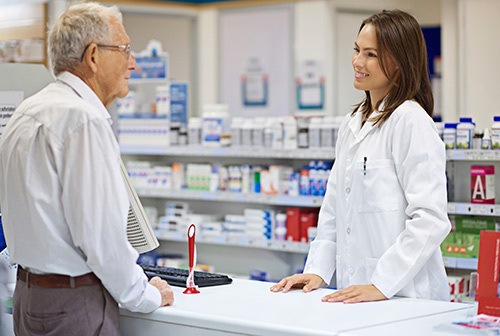 The study is intended to measure whether using PGx testing in a community pharmacy setting improves health and economic outcomes. Findings from the study will complement a research paper published earlier this year in PLoS One by Lindsay S. Elliott, Pharm.D., of Harding University and Unity Health–White County Medical Center, and colleagues. The researchers found that providers who combined genetic testing and YouScript, a clinical decision support tool for medication therapy management, significantly reduced hospitalizations for home health “polypharmacy” patients using multiple mediations. “We look forward to using OneOme's platform to make pharmacogenomics accessible and affordable for patients throughout local pharmacies across Canada,” added Richard Procunier, Pharm.D., co-founder of ProZed Pharmacy Solutions and owner of Northern Shores Pharmacy. Earlier this month, OneOme expanded into Australia by partnering with Genome.One, a wholly-owned subsidiary of the Garvan Institute of Medical Research in Sydney. The partners established Australia’s first whole genome and health assessment service, aimed at providing insights into individuals’ genetic risk of disease and pharmacogenomic responses.